Many books have been said to change lives, but this is one that can literally change – and save – the lives of millions of people. Although water is necessary for life, a shocking number of humans do not have access to clean, non-contaminated water. In the developing world, more than three million people die annually of causes related to poor sanitation and hygiene. 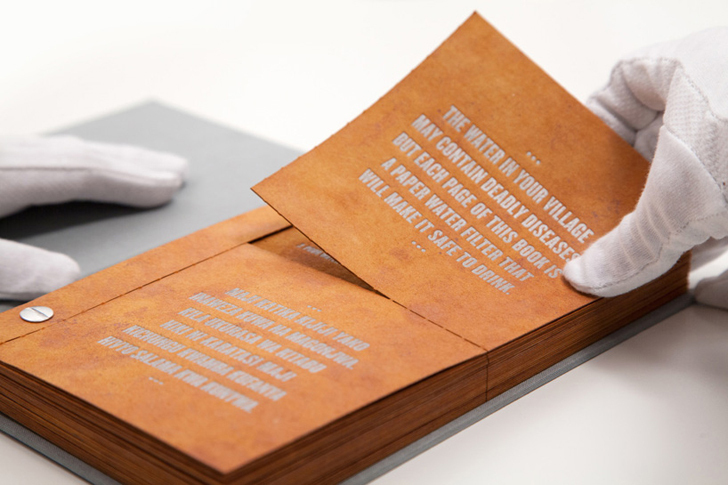 Design group DDB New York, in cooperation with WATERisLIFE, wants to throw the book at that number. The book in this case is called The Drinkable Book, and it is half safe water instructions and half functional water filter. 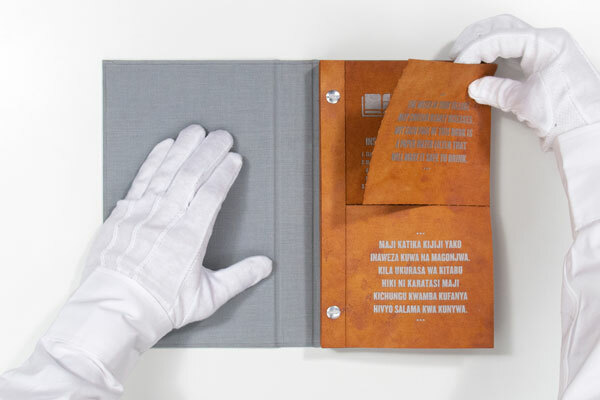 Each book contains 24 pages, each of which consists of two water filters. The filters are impregnated with silver nanoparticles – a substance that is deadly to bacteria but harmless to humans in small amounts. 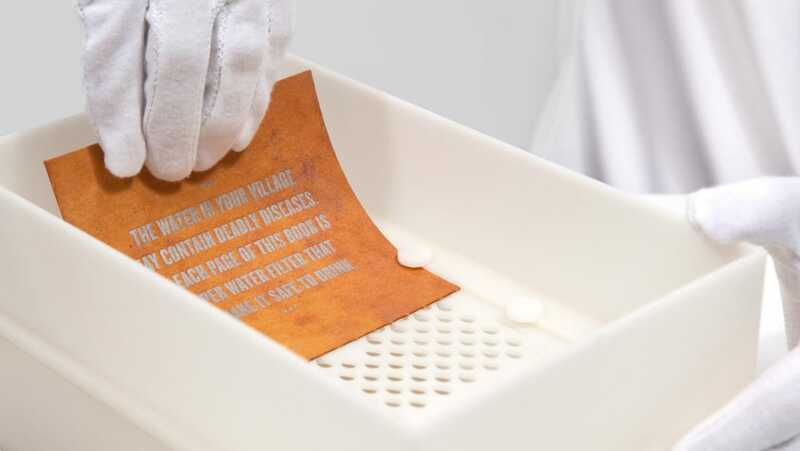 They are also printed with instructions, tips, and information about water contamination. 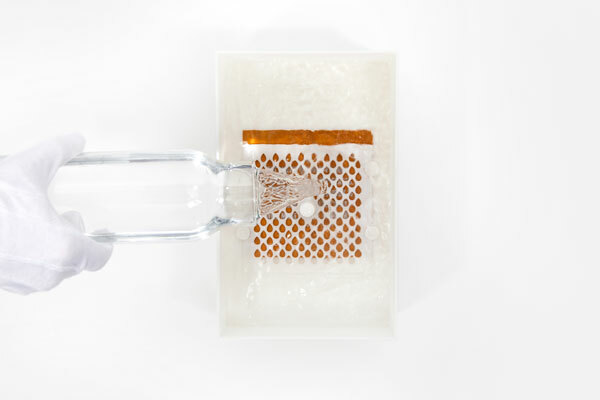 To use the filter, all that you have to do is tear off half of a page and put it into the book’s casing, a 3D printed box. When you pour contaminated water through the filter, the contaminants are killed and you are left with safe, clean drinking water. Each filter is good for 30 days, meaning that every book can provide four years of safe water for one person.